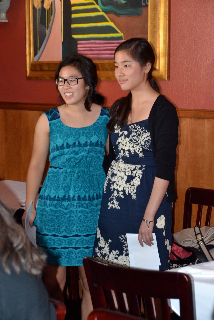 members, the JACL offers more than 30 awards with an annual total of more than $70,000 in scholarships to qualified students nationwide. by clicking on “Youth” on the menu bar. Cherry Okumura, long-time members of the JACL Houston. The Entering Freshman scholarship application is used as the basis for assessment. application or a written description of their achievements and activities for consideration. must be funded every year. Students who have already received a HADA Memorial Scholarship may apply again. For more information, contact Patricia Barry Rumble at trish@mtherapy.com or 713-784-9400.
received the 2013 HADA Memorial Scholarship. Houston. The activity was minimal until a local scholarship program was established to compliment the national program. Lighting & Power. Recipients of this scholarship include. received a National JACL Undergraduate Scholarship, the Alice Yuriko Endo Memorial Scholarship, in the amount of $1,000.